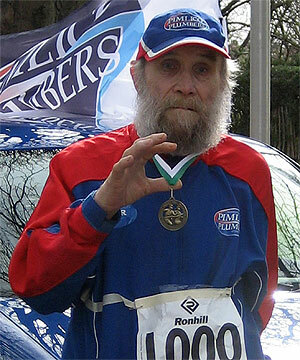 A 101-year-old Britain man Buster Martin will be taking part in the London Marathon on April 13, 2008. Once he completed the run, he will be the world’s oldest Marathon runner because the existing world’s oldest marathon runner is 93-year-old. Jennifer Lopez and her twins appear on the cover of the latest People issue. The twins, Max and Emme are 3-week-old. The first photos of them were taken at their home in Long Island, New York. After involvement with Edison Cheng’s obscene photos outflow incident, the long term rest of the popularity Twins Gillian Chung Yan Tung（鐘欣桐）was recently reported to meet up with Hollywood producer in Hong Kong. Vivian Chow Hui Min(周慧敏) appeared and photographed in the diet products commercial ads, wearing the vivid pink dress that showed her beautiful slender legs. 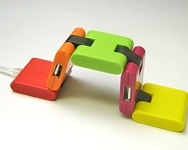 Evergreen released a foldable DN-USB Snake Hub and a doughnut type of DN-USB Donut Hub through its direct sales Shanghai wholesaler website. 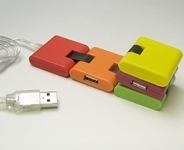 Both models are price at 10 USD.